Born: 30 March 1789, Praha, Czech Republic. Died: 17 December 1844, Praha, Czech Republic. 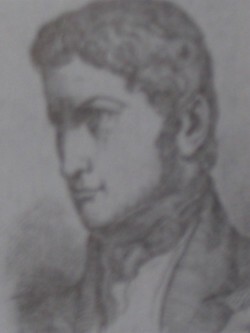 Franz W. Sieber, Austrian naturalist and traveller, grew up in Prague (now Praha), which was then part of the Austrian Empire, and received his secondary education at the Prague Gymnasium during 1802-1807. He made a living out of collecting and selling natural history specimens, visiting Italy in 1811-1812 and Crete and the coast lands of the eastern mediterranean in 1817-1818. The latter journey was later described in three books: Reise nach der Insel Kreta im griechischen Archipelagus im Jahre 1817 (Leipzig, 1823, 2 vols), Travels in the island of Crete in the year 1817 (London, 1823, 129p), and Reise von Cairo nach Jerusalem... (Leipzig, 1823). He also published two brief works on the plants of Austria and of Crete, Herbarium florae austriacae... (1821) and Herbarium florae creticae... (1820), and described some new plant species in the journal Flora (1821-1822), published in Regensburg. In order to increase his flow of specimens Sieber sent several young men, mostly trained gardeners, to various countries to collect for him. One of these was Carl Zeyher*, who accompanied him on the first leg of a collecting trip around the world in 1822. They arrived at the Cape in October that year and, leaving Zeyher there to collect plants for him, Sieber went on to visit Mauritius (December 1822 - April 1823), Australia (June - December 1823), and the Galapagos Islands. After rounding Cape Horn he was back at the Cape on 8 April 1824. For the next three weeks he collected plants and bulbs on the Cape Peninsula and around Cape Town, sometimes with C.F. Dr�ge*. Upon leaving the Cape on 1 May Sieber took with him all the plants that Zeyher had collected, as well as collections of insects, birds and other natural history specimens made by Dr�ge that he was to sell in Europe on the latter's behalf. Sieber advertised his vast collection for sale in Dresden in 1825. It included mammals, birds, reptiles, insects, crustaceans, dried plants, seeds, minerals, and ethnographic material. He undertook no further collecting expeditions. Furthermore, Zeyher was not paid for his collections and hence sent no further material. Sieber showed increasing signs of mental instability and has been described as "hair-brained" and "a strange erratic genius" (MacOwan, 1886). He spent the last 15 years of his life in a mental institution. His financial affairs were in disorder, with the result that his remaining material was seized to pay his creditors. As a result his plants went to various institutions, including the British Museum (Natural History), Kew Gardens, the Conservatoire et Jardin botaniques in Gen�ve, the Naturhistoriesches Museum in Vienna, the Botanical Museum of the University of Copenhagen, the Swedish Museum of Natural History in Stockholm, and the Royal Botanical Gardens at Edinburgh. As his journal was lost it is not always clear whether samples were collected by Sieber himself or by one of his assistants. The plant genera Siebera and Sieberia, as well several plant species were named after him. Kirby, P.R. Early professional museum collectors in South Africa. Southern African Museums Association Bulletin (SAMAB), 1942, Vol. 11, pp. 393-401.